A dear friend treated me to a surprise birthday present by taking me to see the psychological thriller ‘limitless’. This came about because I could not shut-up about my wish to see it as it pushed my buttons. Why can’t we become limitless with the power of the subconscious mind? The film showed human limitations galore and was slightly patchy to say the least. The easy way out and dependency were swirling in my head. To me if we cannot get what we want some of us will resort to anything at the detriment of our health. According to psychologist William James we only use 10% of our subconscious mind and this is where your limitless gifts are. This is your INSPIRED GUIDE. Briefly the story is about a guy’s failure to write a book by age 25 because of writers block. I call it procrastination which can include fear. I have been there. His shady brother-in-law offers him a pharmaceutical pill to help him finish the book because time is running out.. He is now 35 years old. He takes the pill and finishes the book in 4 days. He also learns how to play an instrument, becomes a millionaire in the shortest period of time. As human beings we are blessed with inner gifts, sometimes called the ‘God within” others call it “the glow. It is found in the subconscious mind where everything positive ( the negative can lurk if you let it) is stored. These are memories of everything positive we have seen or gone though in our lives. Within the subconscious mind is intuition this is the genie in the bottle and helps make your dreams come true. If you can truly access it and use it to your advantage you will win. The character became dependent on the pill-the negative side of us. The mind becomes really active when you access the power of the subconscious mind. But what enhances it is the authenticity of who you are, positive traits of your character and personality can contribute to your achievements. It raises lots of issues for success, failure, love, hate, passion, experiences, subconscious, conscious and unconscious mind, achievement etc. If there is something you want to do in your life and you cannot fathom the guts to take that step towards its completion; Then you have to look deeper. I can remember starting a business at 28 but fear but kept me from moving forward. Do you have any of those embarrassing unfinished dreams? Would you like to complete them. Your mind can become limitless if we tap into the right source as demonstrated by past and present theorist. Plato a greek philosopher believed in the heavenly force called love. It influences behaviour good and bad. Think about a world without love? It’s not pretty. Aristotle believed we find answers through our own experiences. Hegel believed nothing can be accomplished without passion. Carl Jung believed in the collective unconscious. There is a common thread running through, they all believed in the power of mind for the common good. In the subconscious mind lies an invisible guide (call it intuition ) together with inspiration it makes the unconscious conscious. You know something without knowing how and why. Only a few of us dip into it from time to time. 90% have flashes of it but spend most of our lives looking for rational answers to everything. Our intellect has very little to do with this phenomenon. I believe that subconscious mind subtly approaches those who are open to receiving this invisible gift. To me they are chosen because they are ready. This is what James Hillman referred to as “The Soul’s Code”. Maybe that’s why Einstein, Nizche, Jobs, Mozart, Edison and Beethoven to name a few were the chosen because they paid attention to their INspired Guide (where the subconscious mind meets inspiration and love: given to me in a vision) and the rest they say is history. I strongly believe it is ageless and does not discriminate and is universal. MJ’s inspirational masterpiece came to him with Thriller. Picasso had great inspirations in his 80’s. The genius of Prince took the world by storm. Is your soul ready to receive the gift? Being over 50 I want to achieve much more before I leave this earth. This means leaving a legacy but I must act and so should you with power of the subconscious mind. Without a Pill of course! 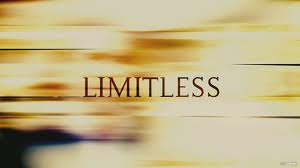 How are you limitless or not? What theorist has influenced you the most. Would love to hear from you.